Developers can incorporate spatial analysis into their applications using ArcGIS APIs, along with ArcGIS Online. Developers interested in incorporating mapping and spatial analysis into their applications will see many exciting changes happening in 2013. Esri has undertaken a multifaceted initiative that will include API improvements, a better application management experience, documentation, improved ways for developers and partners to make applications available to end users, and a one-stop website with all the resources developers need to get started. Esri will roll out these innovations over the first half of 2013. To serve the needs of organizations that focus exclusively on application development, Esri is introducing a new pricing and licensing model. 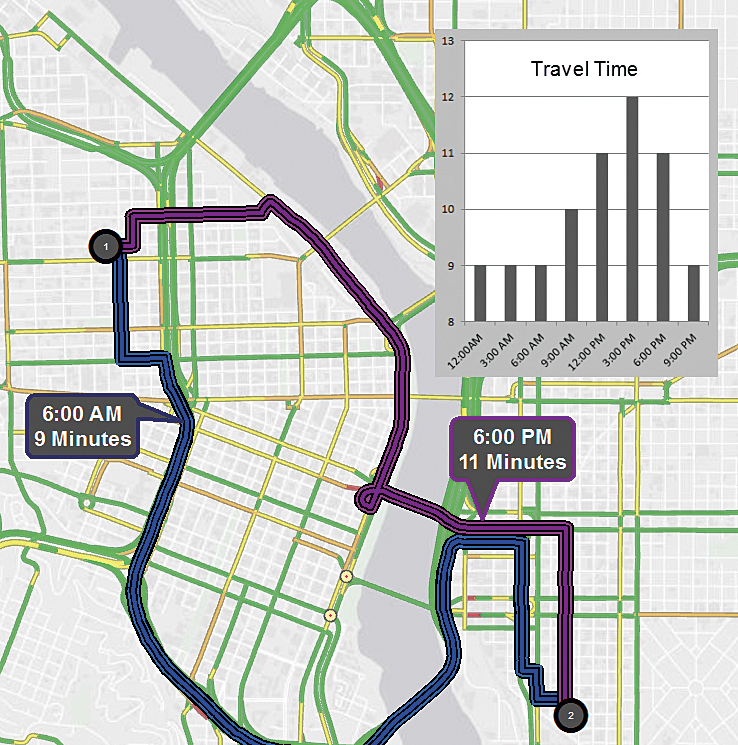 With the ArcGIS Online Directions Service, developers can add routing to web and mobile applications that generates optimal routes to a specific location or calculates areas accessible within a given amount of time. Various plans are available so developers can choose the number of credits they want based on their anticipated volume for a given month. Developers can then use their ArcGIS Online subscription to leverage features, such as geocoding and place search, directions and routing, ready-to-use basemaps, and data query in the cloud. Along with this new developer licensing of ArcGIS Online, Esri is offering a 90-day developer trial of ArcGIS Online. This trial is available from the developers.arcgis.com website. Later this year, Esri will provide an easy way for developers to showcase their applications to end users. This will be a website where developers can list their applications as being available for sale. Developers will be able to log in to the site and manage their listings and monitor usage. More details about this marketplace will be coming soon. In the second quarter of 2013, developers can also look forward to having even more tools available to them, including having GeoTrigger technology available as part of their ArcGIS Online subscription. Geotriggers enable developers to build geofences into their applications that can be triggered based on time of day, speed, or position. To get started building great web and mobile applications that incorporate mapping and spatial analysis, visit developers.arcgis.com.